Mumbai, April 2, 2018: Summer is almost upon us and it’s time for fashionistas to embrace the season with style and sparkle. Bringing vibrancy and elegance to the hair styling trends this season, Streax Professional, the premium hair colour range specially crafted for salon professionals and technicians today launched its Spring Summer 2018 Collection ‘Marigold’. Ruled by the shades of golden, copper and blondes, the Marigold collection signifies the celebratory mood that the season brings in. Along with the new collection, Streax Professional also kicked off its campaign ‘Hair & Beyond’, providing beauty technicians an opportunity to enhance their hairstyling skills. The first exclusive seminar and styling event under the campaign was organized today in Mumbai that inspired aspiring and practicing hair stylists to be creative in the field of Cut, Colour & Style. 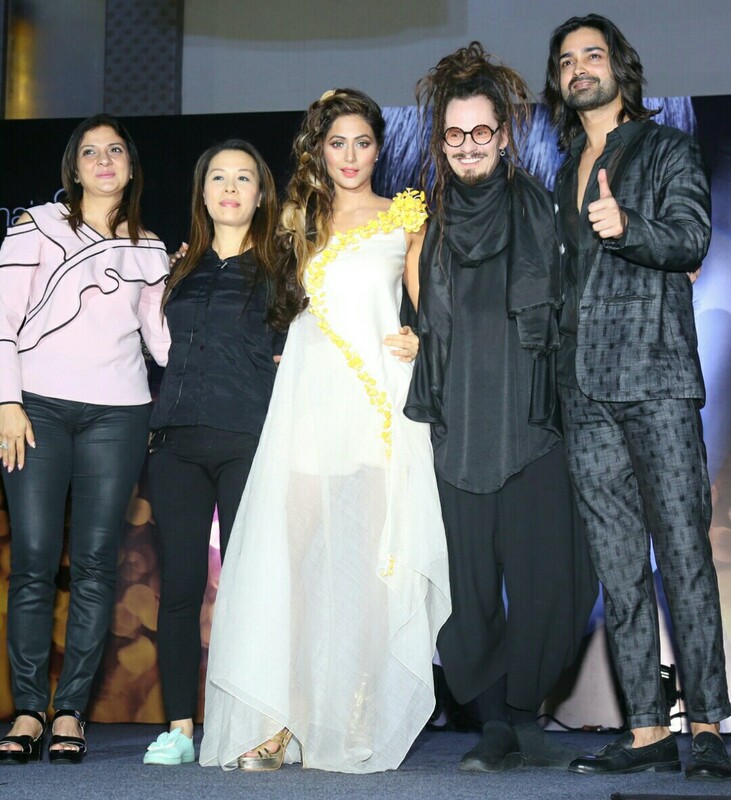 The ever-gorgeous actress Hina Khan strutted the ramp flaunting the Streax Professional Spring Summer 2018 hair shades and took the glamour quotient a notch higher. Streax Professional aims at providing hair professionals in other cities as well an opportunity to learn directly from the hair styling gurus and will, therefore, will be conducting Hair & Beyond seminars across multiple locations i.e. New Delhi, Kolkata, Lucknow and Chandigarh. If you are a professional who aspires to match steps with global experts, here is your chance to make that happen! Streax Professional has also appointed Jaokim Roos and Yolly Ten Koppel, International Creative and Technical Director, Pivot Point International on the panel of its Chief Hair Dresser. Streax Professional – a brand closely associated with style & glamour in salon business, was launched in the year 2004 by Hygiene Research Institute. Streax Professional is smart choice for smart Indian stylists and consumers and guarantees value for money. Launching innovative products, with well researched formulations, especially suited to Indian hair types, Streax Professional is the fore-runner in the professional segment with the widest distribution network. Streax Professional Hair Colorant Range (Colour, Developer & Ultralights) is on continuous growth path and has partnership with over 25000 salons in India and abroad. Established in 1957, Hygienic Research Institute (HRI) is one of the fastest growing cosmetic companies in India. Every beauty product of HRI has been prepared with the help of ancient Ayurvedic sciences and modern technology, giving the consumer the very best, to be the very best. An ISO 9001:2015 certified company, HRI implements path breaking innovations & personal care solutions. All the products are manufactured, tested and approved by quality assurance as per Indian BIS specifications and adhere to the stringent international norms of countries like Thailand, Malaysia, Singapore and Sri Lanka FDA (Food & Drug Administration). Streax as a Hair colour brand is trusted and used by 17 lac consumers every month across India and is sold through 3 lac outlets.